Whatever the specific mission of government agencies, Blue Prism’s RPA solution can help attain it with more efficient processes, fewer mistakes, a more optimized workforce, better compliance, and more satisfied citizens. And when it comes to keeping government programs cost-effective, streamlined, and sustainable, Blue Prism’s Digital Workforce rises above the rest. 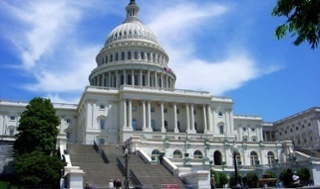 The U.S. Public Sector is learning every day on how to “free the robot” in the human and how to best apply Robotic Process Automation (RPA) within their agencies. While some of the initial Return on Investment (ROI) focus is around cost savings, creating agency efficiencies, and ensuring compliance; the true value is three-fold and is delivered across the entire enterprise. First, there is value back to the agency itself, in helping to drive down costs while still achieving its mission in a more efficient and effective manner, while under budget constraints, net-net returning women/man hours back to the agency. Second, enabling a more citizen centric approach, by increasing the overall quality of the services provided to the citizens coupled with improved consistency and overall faster delivery of those services. Third, and in my opinion the most important is enabling employees to take on more interesting cognitive related work by “freeing the robot” inside of them in turn increasing their overall job satisfaction. The President’s Management Agenda (PMA) is squarely focused on Modernizing our Government for the 21st Century with a eye on identifying leading practices, specifically how automation can support the human workforce. 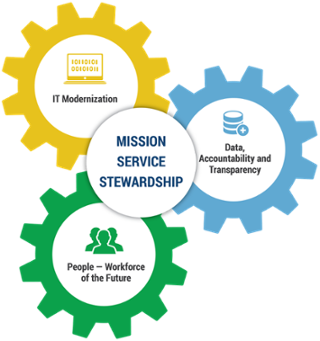 This agenda (PMA) lays out a long-term vision for modernizing the Federal Government in key areas that will improve the ability of agencies to deliver mission outcomes, provide excellent service, and effectively steward taxpayer dollars on behalf of the American people. The 2019 PMA was released on Tuesday March 20, 2018. The PMA was first introduced under President Bush in 2001. Blue Prism’s industry leading Digital Workforce Automation platform coupled with a nimble, up-skilled Federal workforce will help accelerate an efficient, effective and accountable 21st century workforce. As the leading RPA (robotic process automation) software provider, Blue Prism makes government agencies’ business operations more agile and cost-effective by augmenting their human workforce with a “Digital Workforce” of software robots. Visit us at www.blueprism.com/gov to learn how to augment your agency’s workforce with the world’s most successful Digital Workforce.